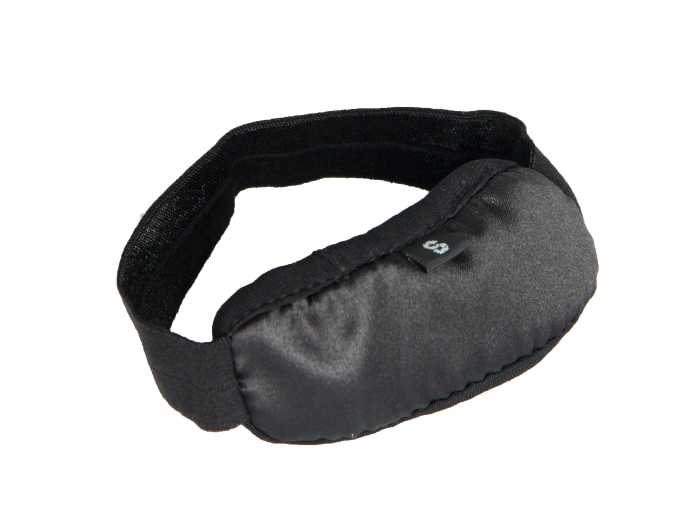 A highly effective phototherapy device designed for treatment of neonatal jaundice. 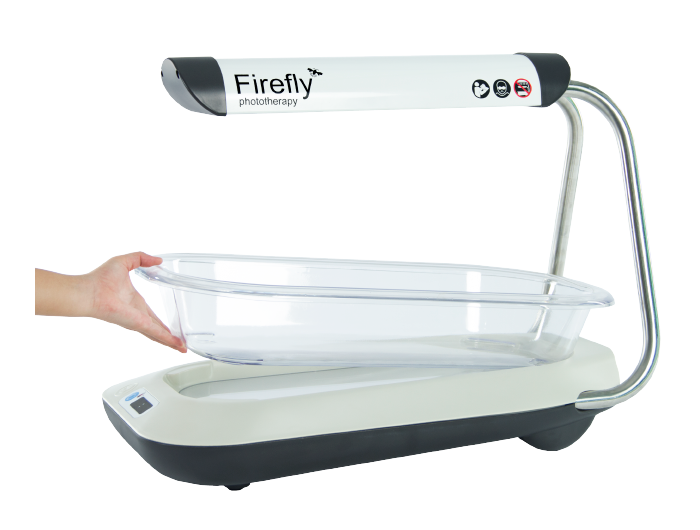 The MTTS Firefly is a state-of-the-art phototherapy device designed for effective treatment of neonatal jaundice. 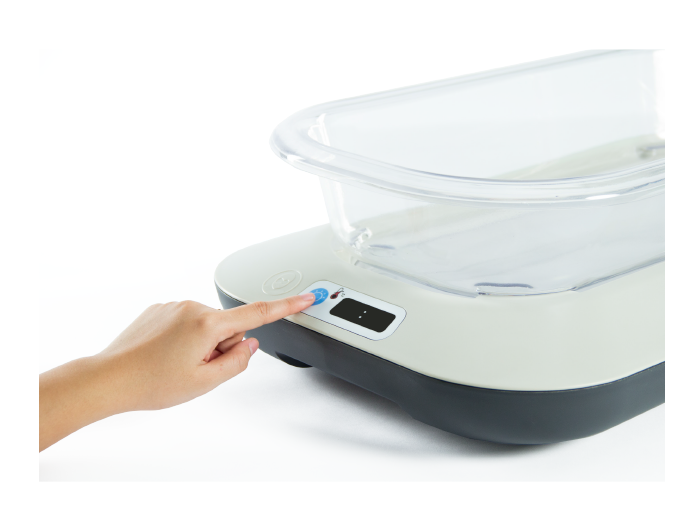 Developed in collaboration with Design that Matters (Massachusetts, USA), and East Meets West Foundation (California, USA), the machine features intuitive design, double-sided lighting, compact size, user-friendly control panel, and removable single-infant bassinet. 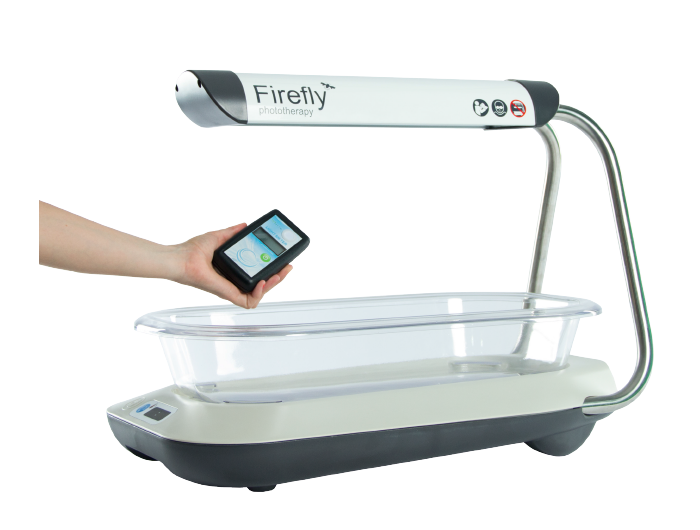 Firefly is designed to treat newborn jaundice in the mother’s room – the best way to support mother-child bonding and breastfeeding. The Firefly was designed through a partnership between MTTS, Design that Matters (Massachusetts, USA), and East Meets West Foundation (California, USA). 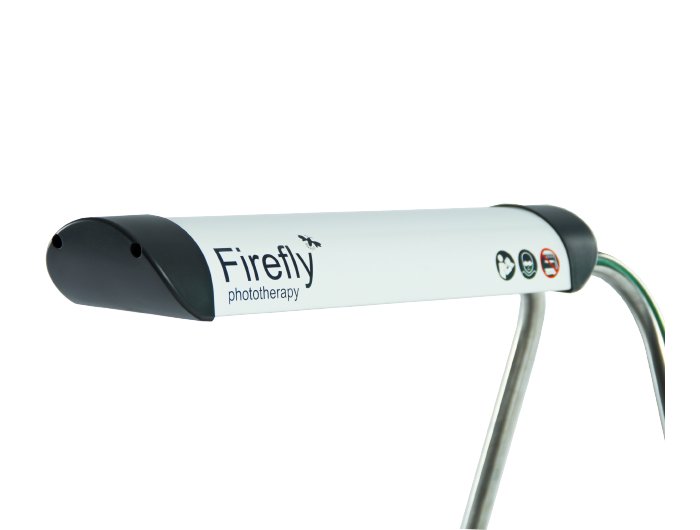 The Firefly key innovation is to use top and bottom phototherapy with long-life, high power LEDs, providing intensive treatment in a compact package. 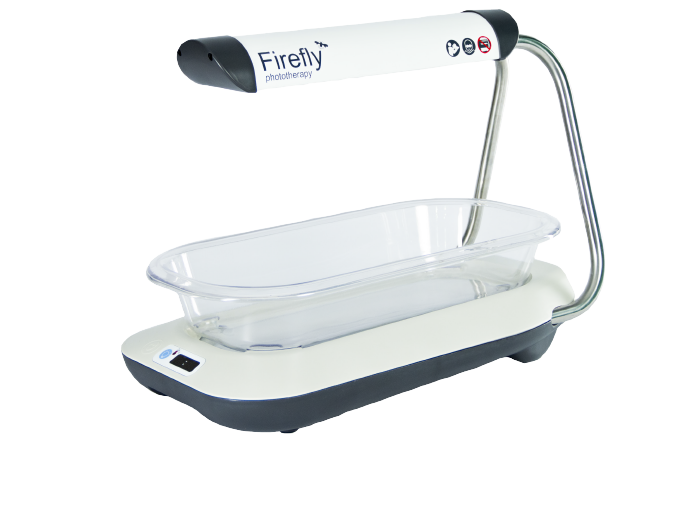 The Firefly can be installed directly in the mother’s recovery room, thus promoting mother-child bonding, regular breast-feeding and close maternal supervision. Medical-grade power supply (not pictured). 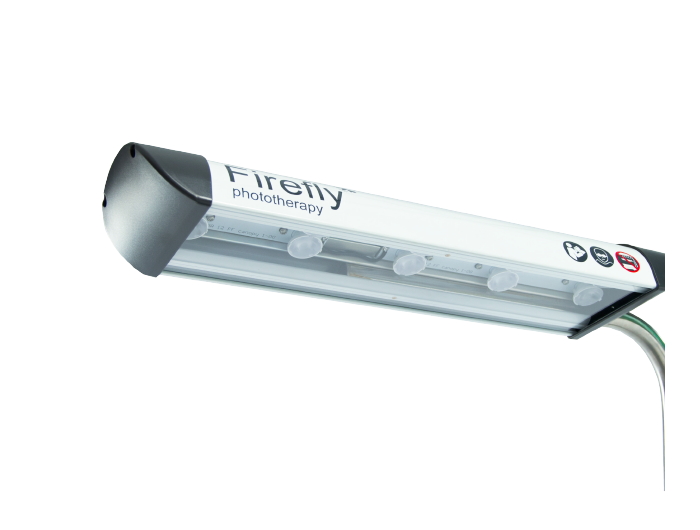 The Firefly provides high-intensity light output in an intuitive package. 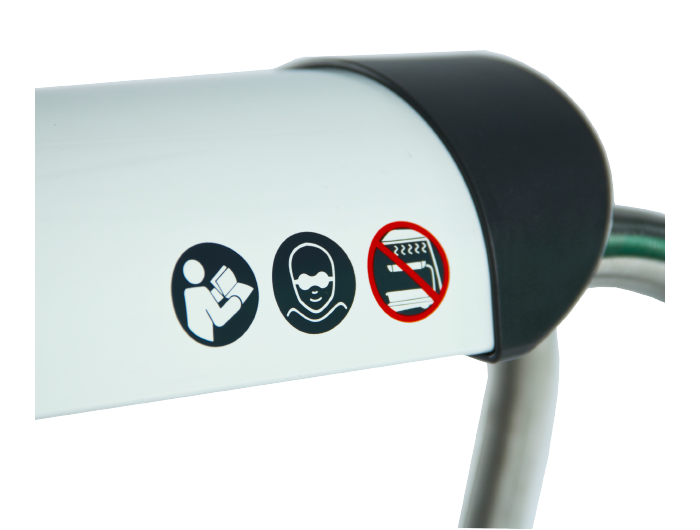 The toplight is fixed at the most effective height for precise delivery of phototherapy. 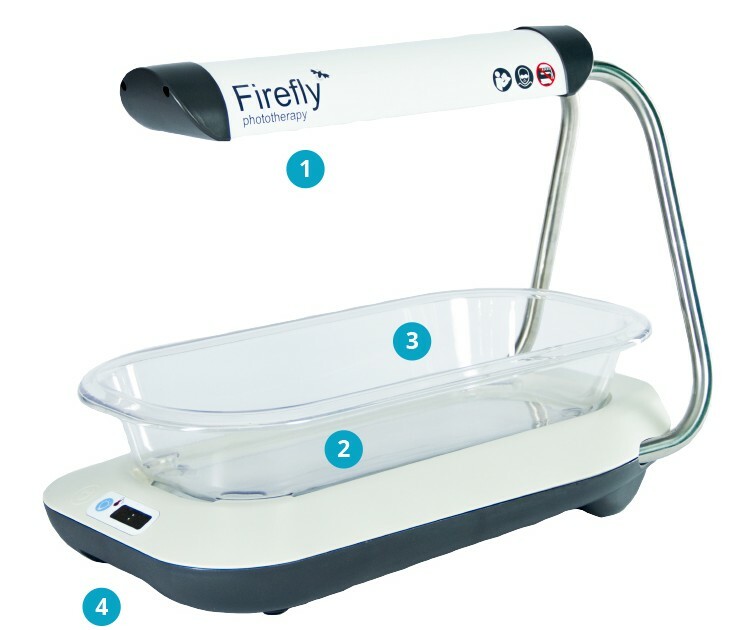 The compact form makes the Firefly fit to be used in the mother’s room, even in space-constrained neonatal care settings, promoting a family-centred healing environment. 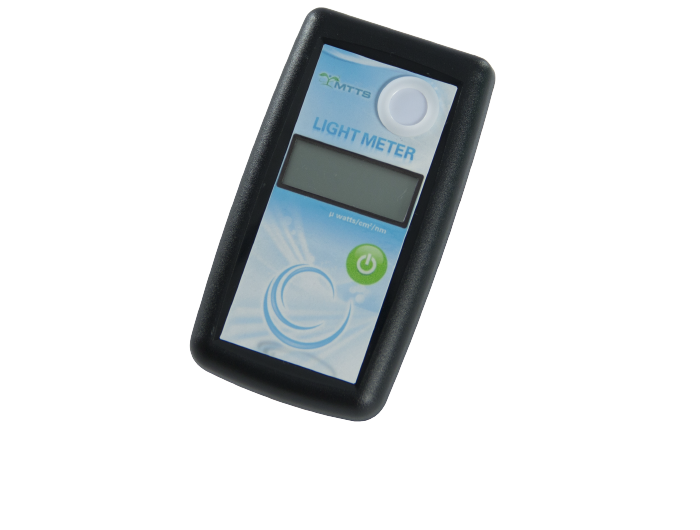 The Firefly combines low initial cost with long-life LEDs that operate with only 30 watts and are rated to last up to 44.000 hours before requiring replacement.